From: Northwest Performance Software Inc.
ipPulse is a Connectivity and Device Status Monitoring Tool. Use ipPulse to monitor the status of IP connected devices (computers) on any IP connected network. ipPulse uses a variety of methods including ping tcp connects and SNMP to poll and check the network connectivity of a list of user-defined nodes. ipPulse alerts you to failures using a variety of techniques ranging from audible messages to email and logging.Supports a large list of target hosts entered as either hostnames or IP addresses. The list can be imported from a text file. Polls the list on a cyclical basis with full control over the list cycle timing parameters. Supports a primary and secondary test.  Supports standard Ping ICMP Echo RequestsReplie. Primary test only. TCP Port numbers for TCP connect tests are assignable on a per-node basis. Primary or secondary test. 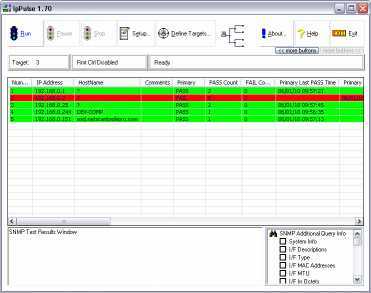 Optionally uses SNMP v1 or SNMP v2c as a secondary test by requesting MIB2 OID interfaces.ifTable.ifEntry.ifOperStatus for every interface found on the target node. Community names are assignable on a per-node basis. 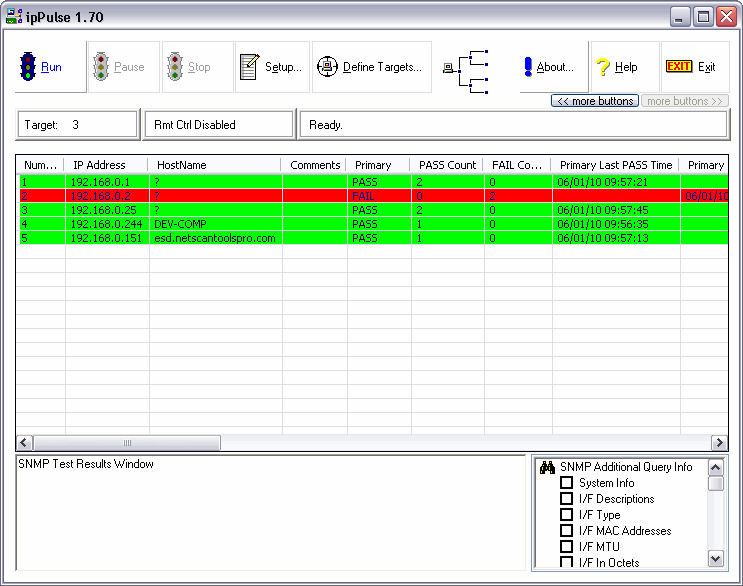 Optional SNMP queries can be made for obtaining more extensive data from the target host. ipPulse includes a number of OID presets and 12 user defined OIDs. Example: you can obtain MAC addresses for every interface from an SNMP enabled host. Multiple alerts and logging. Alert options include beeping your computer playing a wave file notifying someone by email or sending a notification email to a cell phone. Logging options include logging all test results to a text file logging only errors to a text file or logging errors to a dynamically created HTML page. Any combination of logging options can be used. Alerts are issued upon failures using user-defined criteria. Changes from a FAIL state to a PASS state can now generate email messages. Improved new Web Page Retrieval Test for testing and monitoring web server operation. Web server status code and presence of string in either visible or hidden text can be used to trigger an error.